If you can help, please leave a note below or contact Sandra. 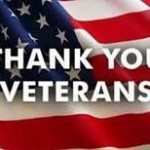 We want to acknowledge our veterans for their service to our country. Donald W. Bahlman WW2, US Navy, Norfolk Shipyards, retired Lieutenant Commander. Raymond J Bielfeldt WW1, US Navy, served in France, Washington DC and Cuba, died from Tuberculosis contracted in the service. Heinrich F Bohl Sr. Unknown, immigrated right before the Civil War in 1857. Heinrich was 23 years old at the start of the Civil war in 1861. Joseph Cloidt – Civil War Veteran – Confirmed, Indiana’s 20th Infantry regiment volunteers, Company “H” and later Company “F”. Fought at the battles of Bull Run and Gettysburg, was also a bodyguard to President Abraham Lincoln for a time. Asa James Dunlap Veteran of WW1 per the 1930 Census, Asa would have been 23 years old at the beginning of WW1, branch of service unknown. William Paul Gerhardt Veteran of WW1 per the 1930 Census, William would have been 17 years old at the start of WW1. Naval Reserves. Ernst Heldt Sr. Uncertain, immigrated in 1852 before the Civil War. Ernest was married 1862 and would have been 20 years old at the start of the Civil War in 1861. Arthur A Hinze WW1 Service, US Army, served in France and Germany. Walter L Horn WW1 Served in France per his mother’s obit, Walter was 22 years old at the start of WW1, branch of service unknown. Albert L Hunte WW1 Service, US Army, entered the service June 1, 1918, Montgomery, Alabama, honorable discharge Feb. 11, 1919, at Camp Grant outside of Rockford, IL. 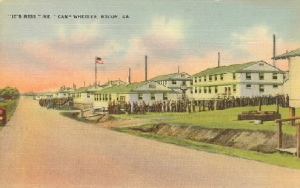 called into service at Camp Wheeler, Georgia. John J. Riley Unknown, John would have been 18 years old at the start of WW1 in 1914. 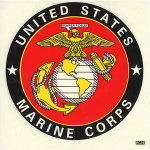 Eight more Washington township boys have been called to the colors and went over to Joliet, yesterday, to make up a unit of 518 Will County men from class one, which will join Uncle Sam’s great army in the fight for a worldwide democracy. They are: Albert Hartman, Wm. Matthias, George Ostermeyer, Elmer Tatge, Albert Guritz, Louis Beseke, William Riechers and Louis Matthias. This morning, the selected men, headed by a couple of bands, paraded the streets of Joliet, and at 10 o’clock they boarded a Chicago & Alton special for Camp Wheeler, Macon, Ga., their destination. It is expected the contingent will reach the cantonment at about 4 o’clock on Saturday morning. Herman Hunte, son of Mr. and Mrs. Henry Hunte, was called in the Kankakee county call, last week, and left, Monday, with the Grant Park contingent for Kankakee, where they entrained with boys from a county for some southern cantonment, the place we were unable to learn. The Red Cross and citizens of Grant Park gave the boys a grand send off and farewell reception, Saturday evening, at which the Red Cross presented each of the boys with a sweater and complete kit. Herman is the third and last son in this family to be called, Albert and Carl having gone south a couple of weeks ago. Re: Albert L. Hunte. It had to have been the Army. The Air Force was not created until 1947. Sandra, I have asked around and saw this post. 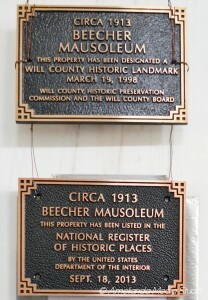 The Community Building in Beecher at one time had a large bill board of sorts on either side of the entrance in front. They listed all the men from this area that served they are now gone. I had uncles on that board Oldenburgs. All Beecher boys who served. My dad’s brothers. caring volunteers and generous donors.